Detecta și elimina malware încăpățânat! Malware Hunter oferă protecție completă împotriva tuturor tipurilor de amenințări, vă protejează datele, protejează intimitatea și a asigura PC-ul rămâne viruși. Hyper scanare face să vă bucurați de o mai rapidă viteză de scanare. Detecta și elimina malware încăpățânat, să scape de pericol potențial. Scanare Virus. Rapid hiper scanează, detecta și elimina malware încăpățânat. Actualizări automate. Actualizări automate oferă protecție în timp real, astfel încât PC-ul dvs. este întotdeauna până la data și sigure. Procesul De Protecție. Care vizează procesul, protecția noastră poate asigura funcționarea în siguranță a computerului. Notă: programul include o licență pentru un an! Knowing the provenance of any security software before installing it is of vital importance to every computer user. Never mind the claims that might be made for it. Look, instead, into the developer's background: does it have proven, specialist expertise in the field? Does it directly employ, or call upon, the services of a large research staff to maintain a minute-by-minute updated threat database? Were one to look for a developer whose provenance ticks all the boxes posed by the above questions, Malwarebytes immediately comes to mind. But it's by no means the only one. As time has gone by, traditional antivirus specialists have also moved into the so-called anti-malware sector -- so-called, because after all, a threat is a threat is a threat: the days when "a virus" was the only thing to worry about have long gone. 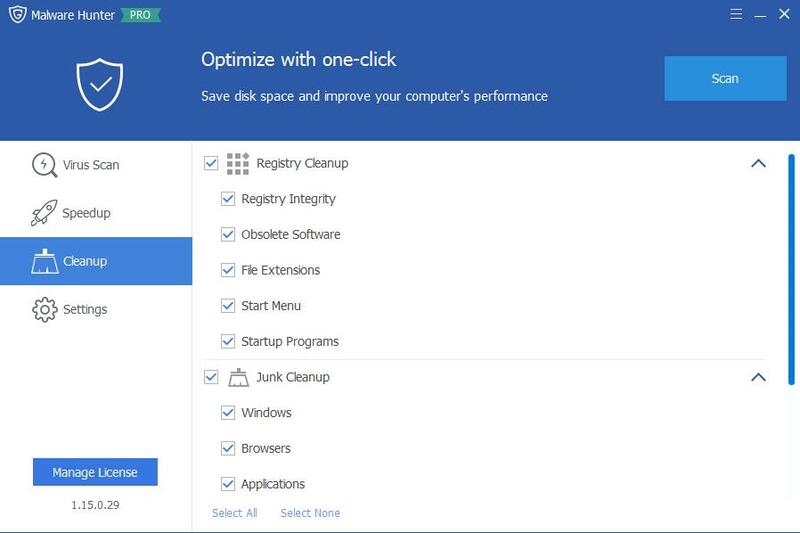 Where today's giveaway is concerned, its Chinese developer is very obviously not an antivirus / anti-malware specialist: Registry Repair, Quick Start, Duplicate Cleaner, Disk Explorer, Undelete, Tracks Eraser, all these and more are in its product portfolio. There's nothing wrong in being a jack-of-all-trades, but being a master of none when it comes to security software can have potentially serious consequences for the user. 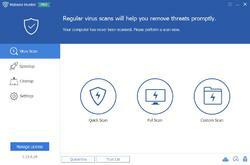 "a quality software client designed to provide you with the ultimate in Virus detection and protection capabilities". where the developer makes clear its intention"to provide you with the ultimate in Virus detection and protection capabilities". The odds of two developers using the same exact wording are long. The odds of two developers making the same mistake in rendering the word 'virus' with a capital V are downright astronomic. 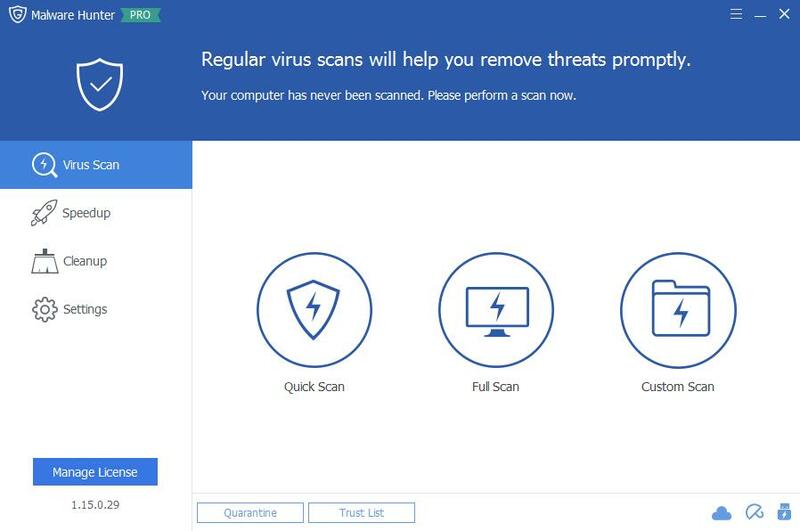 "Integrating award-winning antivirus engines from 360 Cloud Scan Engine, 360 QVMII AI Engine, Avira and Bitdefender"
"Malware Hunter is an award-winning product"
is distinctly unverifiable; I cannot find any evidence, anywhere, of any award. All of this would be discouragement enough, but there's even more to contend with where 'Malware Hunter Pro 1.48' is concerned. Software of this kind is justifiably licensed on an annual basis to meet the cost of the overhead involved. Glarysoft wants $30 a year -- in truth, it actually wants $25, but tries to be clever at its store check-out by compulsorily bundling in a further $4 charge for what it describes as "Registration Backup Service". There's no obvious way of deleting that charge. By contrast, Qihoo massively undercuts Glarysoft at the store checkout of its anti malware product, and with no attempt, either, to sneak in an odious extra charge. In summary then: today's giveaway is from a non-specialist developer which claims for it an award or awards that cannot be verified and provides not one jot of information as to its provenance. There's no clarity as to whether Malware Hunter Pro provides any real-time active protection at all. Annual licensing (after the giveaway period expires) is considerably more than that charged by a fellow Chinese developer of proven specialist expertise . . . and there's an unsettling similarity that extends from the UI of that fellow developer to product text which makes the same grammatical error. I trialled its "Software Update Pro" GOTD of November 6th last and found it discouraging enough, but what's being offered today is even more so: too many questions posed, too little explanation given, and so unsettling a similarity to a rival developer's wares that I'm not even going to download this. GOTD exists as much to help its users as it exists to help its partners, so hopefully Glarysoft will take note of whatever criticisms are leveled on this thread and react to them. If it doesn't, then a developer which once enjoyed a good name for its Utilities suite is at serious risk of finding itself and its products terminally discredited. Thanks, GOTD, but no thanks. Knowing the provenance of any security software before installing it is of vital importance to every computer user. Never mind the claims that might be made for it. Look, instead, into the developer's background: does it have proven, specialist expertise in the field? Does it directly employ, or call upon, the services of a large research staff to maintain a minute-by-minute updated threat database? Were one to look for a developer whose provenance ticks all the boxes posed by the above questions, Malwarebytes immediately comes to mind. But it's by no means the only one. As time has gone by, traditional antivirus specialists have also moved into the so-called anti-malware sector -- so-called, because after all, a threat is a threat is a threat: the days when "a virus" was the only thing to worry about have long gone. Where today's giveaway is concerned, its Chinese developer is very obviously not an antivirus / anti-malware specialist: <i>Registry Repair, Quick Start, Duplicate Cleaner, Disk Explorer, Undelete, Tracks Eraser, </i> all these and more are in its product portfolio. There's nothing wrong in being a jack-of-all-trades, but being a master of none when it comes to security software can have potentially serious consequences for the user. So. 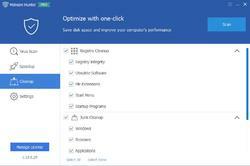 How masterful is 'Malware Hunter Pro 1.48'? 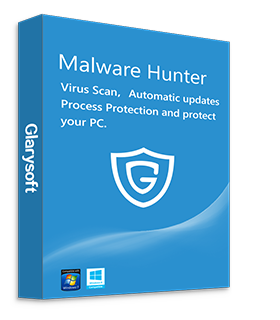 The product is, according to Glarysoft's website: <b>http://www.glarysoft.com/malware-hunter/</b> <i><b>"a quality software client designed to provide you with the ultimate in Virus detection and protection capabilities". </i></b> The <i><b>ultimate?</i></b> That's a heck of a claim to make. Yet it's not the first time I've heard it, as a visit to the website of Qihoo 360 Technology, China's single biggest security specialist readily confirms: <b>http://www.360totalsecurity.com/ </b> where the developer makes clear its intention<b></i>"to provide you with the ultimate in Virus detection and protection capabilities". </b></i> The odds of two developers using the same exact wording are long. The odds of two developers making the same mistake in rendering the word 'virus' with a capital V are downright astronomic. But coincidence seems to abound here. Not only is Glarysoft's wording the same as Qihoo's, this Glarysoft product looks uncannily similar to Qihoo's 360 Security. There is, however, a significant difference: where Qihoo sets on record just how its software protects the user: <i><b>"Integrating award-winning antivirus engines from 360 Cloud Scan Engine, 360 QVMII AI Engine, Avira and Bitdefender"</i></b> Glarysoft says nothing at all. And whereas all the citations that Qihoo makes in regard to "award winning" software are readily verifiable, Glarysoft's website claim: <b><i>"Malware Hunter is an award-winning product"</b></i> is distinctly unverifiable; I cannot find any evidence, anywhere, of any award. All of this would be discouragement enough, but there's even more to contend with where 'Malware Hunter Pro 1.48' is concerned. Software of this kind is justifiably licensed on an annual basis to meet the cost of the overhead involved. Glarysoft wants $30 a year -- in truth, it actually wants $25, but tries to be clever at its store check-out by compulsorily bundling in a further $4 charge for what it describes as "Registration Backup Service". There's no obvious way of deleting that charge. By contrast, Qihoo massively undercuts Glarysoft at the store checkout of its anti malware product, and with no attempt, either, to sneak in an odious extra charge. Finally: where Glarysoft is unambiguous in describing its wares as "award winning", it's notably obtuse in regard to one crucial fact cited on this page: <b><i>"Automatic updates provide real-time protection". </b></i> What nonsense. 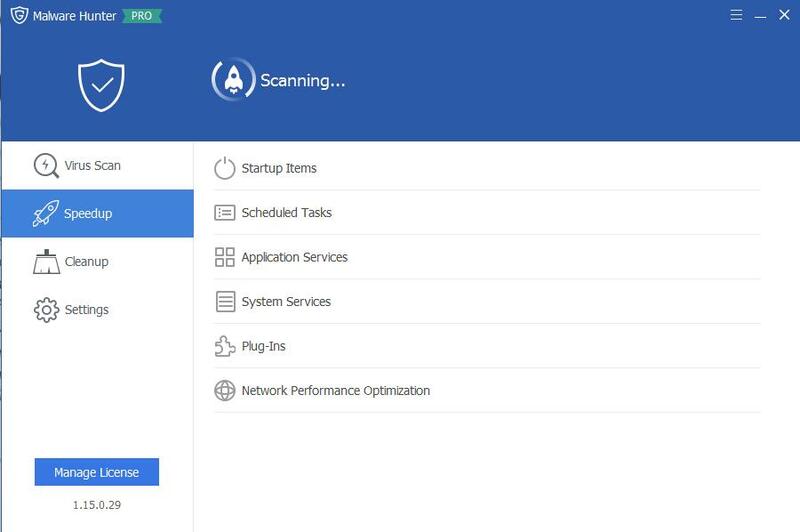 Real-time protection stems from real-time <b><i>monitoring</b></i> -- the difference, for example, between Malwarebytes Free (passive defense: depends on the user running scans) and Malwarebytes Pro (active defense: not dependent on user scans.) In summary then: today's giveaway is from a non-specialist developer which claims for it an award or awards that cannot be verified and provides not one jot of information as to its provenance. There's no clarity as to whether Malware Hunter Pro provides any real-time active protection at all. Annual licensing (after the giveaway period expires) is considerably more than that charged by a fellow Chinese developer of proven specialist expertise . . . and there's an unsettling similarity that extends from the UI of that fellow developer to product text which makes the same grammatical error. I trialled its "Software Update Pro" GOTD of November 6th last and found it discouraging enough, but what's being offered today is even more so: too many questions posed, too little explanation given, and so unsettling a similarity to a rival developer's wares that I'm not even going to download this. GOTD exists as much to help its users as it exists to help its partners, so hopefully Glarysoft will take note of whatever criticisms are leveled on this thread and react to them. If it doesn't, then a developer which once enjoyed a good name for its Utilities suite is at serious risk of finding itself and its products terminally discredited. Thanks, GOTD, but no thanks. This is an EXCELLENT review and I appreciate the time you spend and the work involved. This review, I feel from the writing, is accurate and save me a good deal of messing around with this junk. Howdy Mike, This is an EXCELLENT review and I appreciate the time you spend and the work involved. This review, I feel from the writing, is accurate and save me a good deal of messing around with this junk. Happy Thanksgiving! MikeR, thanks for gathering and disseminating this information. It's great to have a more complete background on this program/company. It is interesting how many people STILL do not read the "readme" file that is included with GAOTD packages. The document tells you how to register the program. Not difficult and provided me a 1 year license to the PRO version. I've used Glary Utilities PRO for years and have had excellent results. Look forward to giving this product a try. Thanks GAOTD.